The 2018 Clemens von Pirquet Award for Clinical Research is awarded to Professor Joaquín Sastre who has significantly contributed to the progress of our understanding of airway allergy. Prof Sastre obtained his MD degree from Universidad Autónoma de Madrid in 1979, and subsequently conducted his residency in Allergology at the Allergy-Pulmonology Unit of the Fundación Jiménez Díaz in Madrid where he obtained his PhD in 1985. Thereafter he completed his training in Allergy and Clinical Immunology at Tulane University in New Orleans (USA). He worked in Hospital Universitario La Paz in Madrid and in the Research & Development department of the pharmaceutical company Montedison before becoming the Head of the Allergy Unit of the Fundación Jiménez Díaz in 1992. He served as the vice-president of the Latin-American Society of Allergy (1997-99), as member-at-large of the World Allergy Organization (1997-2007), as the Chair of EAACI Interest Group on Occupational Allergy (2003-2005), as board member of the Section on Environmental and Occupational Diseases of the American Academy of Allergy, Asthma, and Immunology, and as treasurer and then president (2014-2018) of the Spanish Society for Allergology and Clinical Immunology. Prof Sastre´s group is integrated in the Biomedical Research Center on Respiratory diseases (CIBERES) funded by the Spanish Ministry of Economy and Competitiveness. Through his professional life, he has contributed to 400 abstracts presented at scientific conferences, and published 268 articles indexed in Pubmed, 87 of them in journals of the first quartile of the specialty. His research activities focus on airway allergy, especially on occupational diseases, and molecular allergology. Prof Sastre has also carried out many educational and teaching activities. He has given more than 300 invited talks, written 26 book chapters and directed seven PhD thesis. Moreover, under his leadership the Allergy Unit of Fundación Jiménez Díaz has established as one of the most reputed institutions in Spain to receive training in Allergology. The 2018 Daniel Bovet Award for Treatment and Prevention is awarded to Professor Gideon Lack. He got his medical degree from Oxford University, got four years of training to become a pediatrician in New York and after that, over four years, specialized to pediatric allergy and immunology in Denver, Colorado. After specialization he worked as a lecturer of pediatrics in Bristol, after which he started in St Mary’s Hospital, London, in 1995. He led the Department of Pediatric Allergy and Immunology in St Mary’s for 12 years. He became Professor of Pediatric Allergy and Immunology at Imperial College, London, in 2005. From 2006 he has worked as Professor of Pediatric Allergy in King’s College and is Head of the Children’s Allergy Service at Guy’s and St Thomas’s NHS Foundation Trust and clinical lead in adult and pediatric allergy. Professor Lack has also established two allergy centers out of five in U.K. and he is a cofounder of the Allergy Academy at King’s College London. His research has concentrated in childhood asthma and peanut allergy and, most importantly, on new strategies to prevent and treat food allergies, atopic dermatitis, asthma and allergic rhinoconjunctivitis in both children and adults. His early work already concentrated on the question of allergic sensitization and allergy prevention and now his LEAP (Learning Early About Peanut Allergy) and EAT (Enquiring About Tolerance) studies have changed the way we see allergy to start. Early introduction of foods to young children, as opposed to avoidance practiced earlier usually, reduced the amount of food allergy. These findings have significant repercussions on allergy prevention and treatment and pave way to handle the worldwide allergy epidemics seen today. The 2018 Paul Ehrlich Award for Experimental Research is awarded to Professor Sebastian Johnston for his notable discoveries related to the viral aetiology of many asthma exacerbations, his decisive contribution in the discovering of novel mechanisms of susceptibility to virus infection in asthma, his leading role in the developing of the first mouse model of rhinovirus infection and rhinovirus-induced exacerbation of allergic airways inflammation, and the discovering of novel disease mechanisms, thereby helping develop novel treatment approaches for acute asthma exacerbations. Sebastian Johnston is Professor of Respiratory Medicine & Allergy at the National Heart and Lung Institute, Imperial College London, and Honorary Consultant Physician in Respiratory Medicine & Allergy at St Mary's Hospital, Imperial Healthcare NHS Trust, London. He qualified from Guys Hospital in 1982, completed his PhD at the University of Southampton in 1993, and became professor in 1999 upon his move to Imperial College London. Professor Sebastian Johnston is Director of the Medical Research Council & Asthma UK Centre in Allergic Mechanisms of Asthma, and recognized as world authority and key opinion leader in asthma exacerbations. He has been performing human virus challenge studies in asthma for more than twenty years and is the only investigator worldwide to have performed such studies in people with chronic obstructive pulmonary disease. With a long and productive history of collaborations with both the biotech and pharmaceutical industry, his work has led to more than 300 research publications in prestigious journals, the publishing of 12 patents, and the licensing of these patents to industry. Professor Sebastian Johnston is committed to capacity build for academia, industry and health services by training new experimental and clinical investigators in asthma and COPD research, and, moreover, he is committed to playing a significant role in public engagement and communication in the public domain. The 2018 Charles Blackey Award for Promotion of the Allergy Specialty is awarded to Professor Pascal Demoly. He is professor of Pulmonology at Montpellier University and head of Pulmonology Department at the University Hospital of Montpellier, France. He has had different position within the EAACi such as Vice-President or Education & Specialty. (2011-2015), President of the European Network for Drug Allergy (2003-2008), Associate Editor of Allergy journal (2010-2018) and Ga2len Member (since 2016). He has done an important work on clinical guidelines for diagnosis and treatment of allergic diseases and standardization of procedures been since 2014 the co-chair Allergy in ICD-11, WHO International Classification of Diseases. Pascal Demoly has a longstanding track record in allergy and immunology research focused on allergen immunotherapy, drug allergy and respiratory diseases with more than 700 publications and H index of 78. He is a strong advocate for the implementation of a full medical specialty of allergology and clinical immunology throughout Europe. The 2017 Clemens von Pirquet Award for Clinical Research is awarded to Professor Miguel Blanca who has made an important contribution to the development of the specialty at both a national and international level. He is a specialist in allergy who trained at Malaga University Hospital University, and with a research stay at Middlesex University London. From 2000 to 2003 he was head of the allergy service, La Paz Hospital, and from 2003 to 2016 he was the head of the allergy department in the University Hospital of Malaga. From 2008 to 2016 Professor Blanca was coordinator of the National Network for the Study of Allergic Reactions to Drugs and Allergens (RIRAAF). He was also invited Professor at the University of Nancy (France). Miguel Blanca was one of the first scientists to make an in-depth study of the immunological mechanisms involved in the adverse reactions to drugs, especially beta-lactams and non-steroidal anti-inflammatory drugs. He is the author or co-author of more than 350 peer-reviewed publications including original articles, reviews and position papers, and his contributions have helped give a better understanding of the pathophysiology of the hypersensitivity reactions to drugs. He has also made important contributions in the fields of hymenoptera venom allergy, rhinitis and food allergy. Professor Blanca is a member of the EAACI Drug Allergy Interest Group (DAIG) and the European Network on Drug Allergy (ENDA), in which he has actively participated since their start. He was also a member of the American Academy of Allergy, Asthma and Immunology (AAAAI)’s Adverse Reactions to Drugs, Biologicals and Latex Committee and has actively participated in Global Allergy and Asthma European Network (GA2LEN) projects. During his carrier he has formed more than six research independent groups located in different centres of Spain. Currently, he is scientific adviser of the Allergy Service, Hospital Infanta Leonor, Madrid, Spain. The 2017 Daniel Bovet Award for Treatment and Prevention is awarded to Professor Sten Dreborg. After finishing his specialisation in paediatrics at Uppsala Academic Hospital, Sten Dreborg served as head of the department of paediatrics, County Central Hospital, Boden, Sweden, from 1969-1979. During that time, he concentrated on organising paediatrics in the most northern county of Sweden, on neonatology, publishing the first Swedish CPAP publication, and on the Norrbottnian type of Gaucher’s disease, bringing about the first enzyme replacement by transplantation, and developing carrier and prenatal diagnosis. Between 1979 and 1989, he worked at Pharmacia Diagnostics as medical director, from 1985 scientific medical adviser, during which time he worked on allergen standardisation, freeze-dried extracts, immunotherapy, the Phazet needle and skin testing. In parallel, he worked at the Academic Hospital, Uppsala and later at the Linköping University Hospital, paediatric allergy department. In 1996 he was appointed professor of paediatric allergology at Voksentoppen National Paediatric Allergy and Asthma Institute, Oslo, Norway. He was a founder member of the group (1966) which developed into the Section on Child and Adolescent Allergology of the Swedish Paediatric Society. In 1984 he was a founder member of the Working Group on Paediatric Allergology and Clinical Immunology (WGPACI), within the European Society for Paediatric Research (ESPR) and in 1988 of the European Society of Paediatric Allergy and Clinical Immunology (ESPACI). Together with Arne Høst, he was the founder of the Paediatrics Section of EAACI in 1996, being chairman and adjunct member of the Executive Committee from 1997 to 2001. Presently, Professor Dreborg is affiliated to the Section on Child and Adolescent Allergology of Women’s and Children’s Health at Uppsala University. Furthermore, Sten Dreborg is presently a member of several editorial boards, among them JACI in Practice and the Annals of Allergy. The 2017 Paul Ehrlich Award for Experimental Research is awarded to Professor Reto Crameri. After completing his bachelor’s, master’s and PhD degrees in 1981 at the Swiss Federal Institute of Technology (ETH) in Zürich, Reto Crameri moved to BiogenSA, Geneva, as senior scientist in molecular biology, where he stayed until 1986. Afterwards he worked at the Paul Scherrer Institute as principal investigator responsible for monitoring the natural radiation exposure of the Swiss population. Since 1990 Reto Crameri has been head of the molecular allergology department at the Swiss Institute of Allergy and Asthma Research (SIAF) in Davos. His research interests have always been the development of novel molecular cloning systems based on phage surface display technologies, the production and structural characterisation of allergens, the development of novel vaccines and vaccination strategies aimed at curing allergic diseases, as well as studies on the basic mechanisms regulating IgE production. Reto Crameri has been involved in the task forces and networks of several EU projects including GA2LEN. He is a founding member of the Academia Raetica and the Graubünden Graduate School, and has supervised dozens of PhD students. Author of over 200 scientific publications himself, he serves as deputy editor of Mycoses and is an associate editor of Allergy. The 2017 Charles Blackey Award for Promotion of the Allergy Speciality is awarded to Professor Petr Panzner. He is professor and head of the department of immunology and allergology, faculty of medicine in Pilsen, Charles University in Prague. Petr Panzner is vice-president of the Czech Society of Allergology and Clinical Immunology, member of the managing board and a faculty member of the Czech Initiative for Asthma, and is editor-in-chief of Current Opinion in Allergy and Clinical Immunology - Czech and Slovak digest. He was a member of the EAACI Executive Committee (2005-2007) and is currently a member of the EAACI National Allergy Society Committee. He is also a board member of the UEMS Allergology Section. As vice-president of the UEMS Section and Board on Allergology he contributed significantly to the alignment of activities (blueprint, curriculum and quality criteria) between different allergy centres and countries. He also promoted activities meant to increase awareness of allergic diseases and allergology to national and international governmental bodies. Petr Panzner has a longstanding track record in allergy and immunology research focused on allergen immunotherapy, molecular diagnosis and insect venom hypersensitivity. He is a strong advocate for the implementation of a full medical specialty of allergology and clinical immunology throughout Europe. The 2016 Charles Blackley Award for Promotion of the Specialty is awarded to Professor Dr Jan de Monchy. Jan de Monchy has worked in the field of allergology for many years. He registered as an allergologist in 1980 and in 1993 was appointed Head of the Department and Professor of Allergology at the Academic Hospital Groningen. He has a heart for patient care, education and science, and has trained fellows in allergology and published more than 180 publications. But above all, he has always been a strong advocate for our specialty. As Chairman of the Netherlands Society of Allergology he fought for the specialty and the position of allergologists in the Netherlands. Later, he broadened his scope to the international field and, in 2007, became UEMS President for the Allergology Section and Board; in that position he served EAACI as adjunct member of the Executive Committee for 8 years until June 2015. In 2013, with other members of the EAACI community, he published an important paper, “Allergology in Europe: The blueprint”, in which he described the rationale for the medical specialty of allergology. He underlined the need for quality in allergy health care, the necessity of a rational distribution of care for allergic patients, and the importance of allergy centres which provide a platform for collaboration between allergologists and other specialists. Collaboration and a multi-disciplinary approach are key factors in this line of thinking. Professor de Monchy also considers the EAACI/UEMS Knowledge Examination to be an important tool for international harmonisation. Jan de Monchy strongly advocates a full specialty for allergology in all European countries. Promotion of high quality and easily accessible patient care is the driving factor behind all his activities. It is no surprise that, even after completing a very full academic life at the University Medical Center of Groningen, he is still actively treating allergic patients. The 2016 Clemens von Pirquet Award for Clinical Research is awarded to Professor Magnus Wickman. Magnus Wickman has a long record of achievements in clinical research in the field of pediatric epidemiology, allergy and asthma research. He is a board certified pediatrician and pediatric allergologist with certified training in epidemiology at Karolinska Institutet, Stockholm, Sweden. He was one of the first scientists to study the natural history of allergic disorders, atopic dermatitis and asthma in childhood and adolescents in birth cohorts; he is well-known in the field. And is the author or co-author of more than 200 peer-reviewed publications. His work unites population-based medicine and epidemiology, clinical medicine (in particular food allergy), molecular allergology and genetics/epigenetics and brings together senior investigators and health professionals from multiple disciplines from a regional, national but also an international level. Magnus has stimulated numerous PhD students to write and finish their theses and to make them part of the scientific world. His strength is always to challenge old beliefs and to bring out the best in research projects. From 1994 to 2014 he was the principal investigator (PI) of the Swedish population-based cohort (BAMSE), investigating the influence of environmental and other factors for the development of atopy and asthma; 4000 newborns were enrolled and Magnus was the driving force following the cohort until early adulthood. The project was part of the European consortia and Ga2len network of excellence. Magnus Wickman has been President of the Swedish Association of Allergology and was a board member of the EAACI Pediatrics Section and member of the ExCom of the two European consortia, Ga2len and MeDALL. He has served as senior adviser to the World Health Organization and the Swedish government. He is currently engaged in clinical work at Sachs’ Children’s Hospital and in research at the Karolinska Institutet in Stockholm. His special scientific interest over the last few years has been the development of IgE during early and later childhood and its impact on the development of food allergy and anaphylaxis. Magnus Wickman has continuously served us in the field of allergy and we are proud to present this year`s Clemens von Pirquet Award to him. The 2016 Daniel Bovet Award for improving treatment and prevention of allergic diseases is awarded to Professor Erkka Valovirta. Erkka Valovirta, MD, PhD, is a pediatric allergist who has dedicated his life and career in Turku, Finland, to work with children suffering from allergic diseases. Alongside his clinical work, he has also been affiliated with the University of Turku as a lecturer and was made Professor honoris causa in 2010. Erkka Valovirta’s PhD thesis was on dog allergen immunotherapy and, ever since, he has been involved with numerous clinical trials, dealing particularly with immunotherapy. He is largely known for his work advocating the treatment of allergies in Europe, which he champions with great passion. As an example of this, Erkka was President of the European Federation of Allergy and Airways Diseases Patients Associations from 1997 to 2003: this also demonstrates his passion for practical treatment and prevention of allergic diseases, taking into account the concerns and preferences of the patient/child and the family, to a degree which is exceptional, even for a pediatrician. Professor Valovirta is well-known for his work in allergology societies including EAACI and WAO, and he has been a crucial member of several Interest Groups and Task Forces dealing with immunotherapy or anaphylaxis. For the last eight years, Erkka has dedicated a large part of his time and efforts to practical field work as part of the Finnish Allergy Programme (2008–2018). He seems to never get tired or frustrated with the heavy work of implementing new guidelines, motivating and encouraging people to work toward better care in allergic diseases. And everyone who knows Erkka knows the big, warm smile on his face, despite any challenges! The 2016 Paul Ehrlich Award for Improving Experimental Research is awarded to Professor Dr Cezmi Akdis, MD. Cezmi Akdis is the Director of the Swiss Institute of Allergy and Asthma Research (SIAF), Davos, and Professor in the Zurich University Medical Faculty, as well as being one of the Directors of the Christine Kühne Center for Allergy Research and Education (CK-CARE) in Davos. He is an Honorary Professor at the Capital Medical University, Beijing Institute of Otolaryngologology, China, and at Bezmialem University, Istanbul, and is also a Senate Member of the Swiss Academy of Medical Sciences, and a member of the New York Academy of Sciences and of the Collegium Internationale Allergologicum. Cezmi Akdis was President of EAACI (2011–2013), Vice-President Congresses (2007–2011), SPC Coordinator (2005–2007) and Chair of the Immunology Section (2003–2005), He is the immediate Past Chair of iCAALL, and one of the founders and Executive Committee member of GA2LEN, as well as being the founder and organiser of the World Immune Regulation Meetings, which have taken place annually in Davos since 2006. 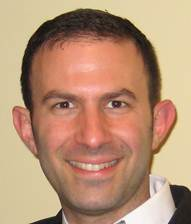 Professor Akdis is the Co-Editor-in-Chief of the Journal of Allergy and Clinical Immunology (JACI) and a member of the editorial boards for a number of other highly reputed medical journals. He is the co-editor of three Global Atlases: of Allergy, Asthma, and of Allergic Rhinitis and Chronic Rhinosinusitis. He has been honoured with several international awards and distinctions, including the Ferdinand Wortman Prize (1996), Swiss Society Immunology Award (1996 and 1998), Pharmacia Allergy Research Foundation (1997), Hoechst Marion Roussel Award (1998), Professor Hans Storck Award (1998), Dr Karl Heyer-Preis (1998), Sedat Simavi Medicine Award (1998), Allergopharma Award (2001), European Allergy Research ‘Gold Medal’ (2004), TUBITAK Exclusive Award (2007), the BUSIAD Award (2012), World Allergy Organisation Award (2013), American Academy of Allergy Asthma and Immunology (AAAAI) Elliott Middleton Memorial Lecture (2014), European Federation of Immunology Societies World Immunology Day Lecture (2014), as well as honours given by the Uzbekistan Academy of Sciences (2015) and Capital University of Beijing (2015). Cezmi Akdis is a highly respected authority worldwide and has a long track record in allergy and immunology research, as proven by more than 450 papers to his name. His research has focused on immune tolerance mechanisms in humans, developing novel vaccines and treatment modalities, regulation and the role of tissue cells, the epithelial barrier in asthma and allergies, and disease endotypes. Throughout his career he has performed vaccine, human immunology, lung and skin research to find solutions for allergies and asthma, and has trained several generations of researchers, now well-known and respected scientists in their own right. His life-long belief in the greatness of science and in mentoring inspires great confidence and evokes the excellence we all desire. The Charles Blackley Award 2015 for promotion of the specialty is awarded to Professor Luis Delgado. Professor Delgado, EAACI member 318, is Professor of Basic and Clinical Immunology and Head of the Department and Laboratory of Immunology, in the Faculty of Medicine, University of Porto, Portugal. He is a specialist in allergology and also serves as a Senior Consultant in allergology at the Allergy Department of the Centro Hospitalar São João, Porto, where he runs the immunology laboratory. Professor Delgado has had a remarkable career. Since his doctoral thesis on lung immunopathology presented in 1996, he has worked intensively within the research field of occupational and interstitial lung diseases, severe cutaneous drug eruptions, ocular allergy and allergy and asthma in sports practice. Within this scope, in 2001 he was the founder and chairman of the EAACI Interest Group on Allergy, Asthma and Sports. During the years immediately after, he chaired the Joint EAACI/ERS Task Force “Asthma and Allergic disorders in Sports” as well as the EAACI/AAAAI PRACTALL 2008: BASE initiative – “Bronchoconstriction, Allergy, Asthma in Sports and Exercise”. He is co-author of three books, sixteen chapters in textbooks, and more than one hundred clinical and research papers.Professor Delgado has contributed tremendously to the development of the specialty both on a national and international level. He served as a member of the Executive Board of the Portuguese Society of Allergy and Clinical Immunology from 1999 to 2007. Currently, he is President of the Society. From 2003 to 2011 he was a member of the EAACI Executive Committee. During this period, he was part of the CME Accreditation Committee and the ‘EAACI certified examination in allergology and clinical immunology’ Task Force. From 2009 to 2011, he was Vice-President for Education and Specialty, successfully managing, in a coordinated and innovative way, the Allergy Schools, educational outputs (Task Forces, monographs), knowledge test, and the collaborative structuring of the CME process with UEMS. Professor Delgado’s encouraging attitude, friendship, endless enthusiasm and far-reaching vision in the field of science and in life in general have been an inspiring force for generations of both clinicians and researchers. The Paul Ehrlich Award 2015 for improving experimental research is awarded to Professor Wytske Fokkens. Wytske J. Fokkens is Professor and Chairman of the Department of Otorhinolaryngology at the Academic Medical Center in Amsterdam. Her main field of interest is sinus surgery and mucosal pathology of the upper and lower airways. She is the current President of the European Rhinologic Society (ERS) and the International Society of Infection and Allergy of the Nose (ISIAN). She is also the Chairman of the European Position Paper on Rhinosinusitis and Nasal Polyps (EPOS). Professor Fokkens is a member of the executive committees of ARIA and ERS, and work package and centre leader of GA2LEN, the EU network of excellence. She is the author of more than 300 papers on allergy and rhinology published in peer-reviewed journals. She has written a textbook on rhinology: Rhinology and Skull Base Surgery: From the Lab to the Operating Room – An Evidence Based Approach (Thieme). She serves as Editor-in-Chief of Rhinology and is Associate Editor of the Allergy and Clinical Respiratory Journals. She is married and has three children. The Daniel Bovet Award for improving treatment and prevention of allergic diseases is awarded to Professor Marek Kowalski. Professor Marek L. Kowalski is Chair at the Department of Immunology, Rheumatology and Allergy, Faculty of Medicine and Director of the Healthy Ageing Research Center (HARC) at the Medical University in Lodz, from where he received medical and doctorate degrees. He has worked as a visiting scientist at the Department of Clinical Immunology and Allergy in London with Professor Barry Kay, and for three years (1986–1988) was a visiting fellow at the National Institute of Health in Bethesda, with Professor Michel Kaliner. He is board certified in internal medicine, allergology and clinical immunology.Professor Kowalski was a member of the EAACI Executive Committee (1998–2009) and EAACI Treasurer (2003–2009); in 2009, he was President of the 28th EAACI Congress held in Warsaw. He was also President of the Polish Society of Allergology (2003–2006), member of the World Allergy Organization Board of Directors (2008–2011) and Chair of the WAO Communications Council. He was the Associate Editor of Allergy (2001–2009) and is currently the Editor-in-Chief of Alergia Astma Immunologia and serves on editorial boards for several international journals (Allergy Asthma Immunology Research, Asthma Allergy Clinical Immunology, Allergy and Asthma Proceedings, Current Allergy and Asthma Reports), and he is the coordinator of the HARC 7FP RegPot Project (2013–2016), as well as partner in four EC funded IP projects (FAST, Predicta, MedAll and iFAAM). His major research interests include pathogenesis and management of bronchial asthma and COPD, immunology of respiratory infections, immunology of ageing, and hypersensitivity to NSAIDs. He has authored or co-authored more than 300 publications.Professor Kowalski has been honoured with several Polish and international awards, including the Order of Polonia Restituta, International Distinguished Fellowship Award of the American College of Allergy Asthma and Immunology, honorary membership of the Lithuanian Society of Allergology and Clinical Immunology, the Purkini Medal of the Czech Society of Clinical Immunology and Allergology, and honorary membership of the Hungarian Allergy and Immunology Society. The Charles Blackley Award 2014 for the Promotion of the Specialty is awarded to Professor Jan Lotvall. Professor Jan Lötvall is Professor of Clinical Allergology in Gothenburg, Sweden, and has been a leading researcher in the field of asthma since the late-1980s. He is currently the chairman of the Krefting Research Centre at the University of Gothenburg, where his focus is asthma phenotypes, endotypes and severity. He is also a leader in the field of extracellular vesicles, and led the breakthrough research showing that exosomes can shuttle functional RNA molecules between cells, which was published in Nature Cell Biology in 2007, and is the most cited publication in the field. Additonally, Jan Lötvall was Secretary General of EAACI from 2005-2009 before being elected EAACI President from 2009-2011. During this six year period, EAACI saw healthy growth and was efficiently transformed from an association run almost exclusively by enthusiastic members, to an organization with its own staff and headquarters. He also organised several EAACI Allergy Schools, and the successful 2007 EAACI Congress in Gothenburg. During his mandate as a member of the EAACI Executive Committee he enthusiastically empowered JMA’s, worked tirelessly for the harmonization of the allergy specialty in Europe and established an ambitious project to develop collaboration among major allergy societies. This culminated in the International Collaboration in Asthma, Allergy and Immunology (iCAALL) which has delivered several International Consensus Statement (ICONs) publications on a range of clinical topics in allergy, to support efficient management of allergic diseases internationally. He is a fervent believer in a healthy-lifestyle, and radiates an extraordinarily passionate and warm personality, for which he is known in EAACI as the “most Latin of all Scandinavians”. The Paul Ehrlich Award 2014 for Improving Experimental Research is awarded to Professor Hannah Gould. Hannah Gould is Professor Emeritus of Biophysics and Principal Investigator in the Allergy and Asthma Group in the Randall Division of Cell and Molecular Biophysics at King's College London, part of the MRC & Asthma UK Centre in the Allergic Mechanisms of Asthma. She also forms part of the Division of Asthma, Allergy and Lung Biology at the College. After completing her Bachelor, Masters and PhD degrees at Harvard University and following a period of post-doctoral research at the National Institute of Health (NIH), Hannah moved to the United Kingdom where she has built a solid and impressive career in Academia, firstly at University College London and Imperial College London and then at King's College London from 1967. She leads a very active group working on the biology of IgE and the basis of allergic disease. Her main focus has been local IgE production and regulation, mechanisms of immunoglobulin heavy-chain switching to IgE, signal transduction by IgE receptors, mechanisms of tolerance induction by allergen-specific IgG4 and IgA antibodies and IgE immunotherapy of cancer. In collaboration with her clinical colleagues, Hannah Gould has contributed to studies where clinical questions are addressed with a scientific approach with the ultimate goal of translating findings to the benefit of patients with asthma, rhinitis, food allergy and other allergic diseases. She collaborates with researchers not only in the United Kingdom but also overseas, in the United States, France and Belgium. For over 50 years, Hannah Gould has supervised dozens of students and has continued to inspire new generations of researchers, both clinicians and scientists. The Daniel Bovet Medal for improving treatment and prevention of allergic diseases is awarded to Professor Bodo Niggemann for his lifelong commitment to prevention, diagnosis and treatment of allergic diseases in children. Professor Niggemann is professor of pediatric allergology at Charité in Berlin, Germany and currently heads the division of pneumology and allergology in the department of pediatrics. After graduating from Hamburg University he finalised his pediatric training before moving to Charité in 1990, where he obtained his habilitation in 1995 and the professorship in 2001. He published his first citation classic paper, “Proposals for standardization of oral food challenge tests in infants and children” in 1994.Since then he has followed up with numerous papers on food allergy, anaphylaxis, epidemiology, asthma and allergic diseases in children.. His papers on latex allergy, food allergy and oral immunotherapy have been especially useful in leading the way for others. Today, 260 papers are listed in PubMed - now even including the more subtle and difficult aspects of pediatrics such as functional diseases. He is also the author of several books and book chapters. Professor Niggemann is an experienced scholar equally interested in clinical work, education and science and has taught countless young colleagues the fine art of medicine and science in parallel to his tireless efforts to secure a happy life for families who suffer fromallergic disease. Professor Niggemann’s new obligations in the department will neither change his attitude to his patients, his scientific work nor to his other interests including playing the drums in a rock band and photographing, the latter always being evident in his inspired lectures. The Clemens von Pirquet Award for Improving Clinical Research is awarded to Professor Ronald Dahl. Professor Dahl is a specialist in both allergology and in pulmonary medicine, and is currently Professor of Clinical Allergology at the University of Southern Denmark. He also serves as a consultant in allergology at the affiliated Odense University Hospital, where he is in the process of establishing the Centre for Eosinophilic Disorders. He previously served as Professor of Respiratory Diseases at Aarhus University where he ran a large Clinic of Allergy and Lung Diseases at the affiliated Aarhus University Hospital. Professor Dahl has had a remarkable career. Since his doctoral thesis on eosinophils he has worked intensively with the pathophysiology of asthma and allergy, and used this knowledge for both pharmacotherapy and immunotherapy. Many groundbreaking publications on asthma and rhinitis treatment involving glucocortocoids, long acting beta2-agonists and, lately, sublingual immunotherapy have been produced under his leadership. He is an institution in Scandinavian and international allergology and has been behind over 40 theses for Ph.D. degrees and for the Doctor of Medicine, the highest medical academic degree in Scandinavia. Not only does he have more than 200 peer-reviewed papers, he has also experienced the other side of publishing in his role as chief editor of Respiratory Medicine for 10 years. Professor Dahl has contributed tremendously to the development of the specialty on both a national and international level. He has served as President of the Danish Society of Allergology and later of the Danish Respiratory Society. He has been on multiple evaluation boards worldwide and served as an Executive Committee member for EAACI, later becoming President of InterAsma and the European Respiratory Society, as well as a board member for the World Allergy Organisation. The 2013 Charles Blackley Award for improving the Promotion of the Specialty is awarded to Professor François-Bernard Michel. From 1972 to 2000 François-Bernard Michel, professor of pulmonology, established and led a strong department dedicated to respiratory diseases, particularly for asthma and allergies, at the University Hospital of Montpellier, France. He has developed a school of clinicians and researchers of reference, recognised around the world. He organised the Congress of Paris in 1992 and become President of EAACI in the same year until 1995. Passionate about art and literature, he has published several books devoted to testimonies and analyses of artists vis-a-vis their disease such as Marcel Proust, Paul Valéry, Raymond Queneau and Van Gogh… alongside some other novels and poems. In 1998, he became a regular member of the French Academy of Medicine which he has chaired since 2013. In March 2000 Professor François-Bernard Michel was elected to the French Academy of the Fine Art, which he chaired in 2006 and 2012. The 2013 Clemens von Pirquet Award for improving Clinical Research is awarded to Professor Martin K. Church. Martin K. Church has made substantial contributions to the understanding of allergic disease of the skin, nose and eye. He developed a rat model of anaphylactic bronchoconstriction that was widely used to test drugs for anti-allergic reactions and pioneered techniques for isolating and purifying mast cells from human tissues. He has extrapolated his work into a clinical environment by collaborating with clinicians. Prof. Church has developed dermal microdialysis and scanning laser Doppler imaging of the skin and is Professor of Immunopharmacology at the Charité Universitätsmedizin, Berlin, working on mechanisms and pharmacological treatments of urticaria and Emeritus Professor of Experimental Immunopharmacology at the University of Southampton, UK. The 2013 Daniel Bovet Award for improving Treatment and Prevention is awarded to Professor Claude Molina. Claude Molina was born in Algeria in 1924 and was appointed Medical Doctor of Alger Hospitals in 1952, and head of the Pulmonology Dept. in 1961. Gaining a professorship in Pulmono-Phtisiology as early as 1958, he was transferred after the independence of the country in 1962 to Clermont Ferrand where he was to stay for 30 years. Claude Molina is “the precipitins man”. With Jack Pepys, his work and research made of him the leading European expert in the field of Hypersensitivity Pneumonitis and also addressed the issue of inflammation in Asthma. His passion for Education and Prevention led him being elected as President of the French Committee against Tuberculosis and Respiratory diseases in 1988. After having organised the EAACI Congress in Clermont Ferrand in 1981, he actively presided over the institution from 1983 to 1986. Under his presidency the number of members doubled and the working groups improved strongly with the creation of post graduate courses and the Audio Visual & Editorial Sub Committee which he chaired until 1995. As Emeritus Professor, he retired in 1992. Just as active as before, he developed with Franz Marrache the Bibliography Updates in Allergology, still published monthly on the Academy website. The 2013 Paul Ehrlich Award for improving Experimental Research is awarded to Prof. Monique Capron. Monique Capron, Professor at Institute Pasteur and Professor of Immunology at the Faculty of Pharmacy in Lille, France, has achieved many outstanding contributions in the field of allergy and parasitology. Her scientific carrier has focused on the interface between these research area’s leading to a better understanding of the function of IgE and IgA, as well as their receptors on inflammatory cells, most notably eosinophils. Prof. Monique Capron also demonstrated that eosinophils have immunomodulatory functions via the release of several cytokines. She has authored over 300 scientific publications and been awarded numerous prestigious distinctions during her career. Prof Capron is a member of several learned societies. Presented at EAACI Congress 2018 in Munich, on 26 May 2018 to the winner, Brecht Steelant - PhD, Postdoctoral Researcher. The awarded research project “Regulation Of Epithelial Barrier Function In Allergic Rhinitis”, will be carried out for one year at the Laboratory of Clinical Immunology, in Leuven, Belgium. Purpose of the study: Purpose of the study was to unravel the role of epithelial barrier function in allergic rhinitis and how it contributes to disease severity and chronicity. By studying epithelial integrity and tight junction expression, we aim at discovering novel therapeutic approaches in the treatment of allergic rhinitis. The awarded research project “MicroRNA regulation in asthma”, was carried out for one year at Krefting Research Centre at the University of Gothenburg in Gothenburg, Sweden. Purpose of the study: MicroRNAs regulate cellular pathways and are required for normal cell behavior. By studying microRNA expression under inflammatory settings in humans and mice we aim to uncover novel genes and pathways that are critical to asthma pathology. The awarded research project “Continuous laryngoscopy during exercise and assessment of parasympathetic activity in patients with exercise-induced laryngeal obstruction (EILO)”, was carried out for 6 months at Haukeland University Hospital (HUS) in Bergen (Norway). The purpose of this study was to address potential effects from Atrovent in patients with exercise-induced laryngeal obstruction (EILO) verified during a continuous laryngoscopy exercise (CLE) test. Accelerated dissociation of IgE-FcεRI complexes by disruptive inhibitors actively desensitizes allergic effector cells. Eggel et al, J Allergy Clin Immunol, 2014, Vol. 133, No. 6. Dr. Eggel obtained his PhD degree at University of Bern in Switzerland and following a year as Postdoctoral Fellow at the University of Stanford, he returned to Bern and is currently Group Leader at the Institute of Immunology. Over the years, he has received several recognitions for outstanding work in the fields of allergy and immunology. In several publications the focus of has been on IgE/IgE-receptor interactions. The awarded publication describes the action of a new class of IgE inhibitors with therapeutic potential acting by suppression of the allergic response of effector cells from sensitised individuals.Thereby this paper provides new knowledge as well as points at potential applications in present and future diagnostic and therapeutic regimens. The objective of PhARF is to encourage progress in allergy research, specifically through the PhARF Award, which is aimed at recognizing outstanding younger investigators. The Award amounts to USD 50,000. Read more about the PhARF Award winner 2016, Dr Verena Niederberger here. The winner of the PhARF Award 2015 is Joshua David Milner, MD, Laboratory of Allergic Diseases, National Institute of Allergy and Infectious Diseases, National Institutes of Health, Bethesda, MD, US. It was announced at the Opening Ceremony of the EAACI Congress in Barcelona 6 June. Dr Milner is an extraordinary young investigator, with an outstanding publication record whose exceptional originality and creativity has led to improved understanding of the genetics of atopic disease and pathophysiologic mechanisms revealed by genetic mutations. He has also identified potential therapeutic targets for mast cell diseases, which impact a variety of disorders. Each year the European Academy of Allergy and Clinical Immunology (EAACI) honours European researchers and clinicians who have contributed significantly to the development of innovative diagnostic and therapeutic strategies for the control and prevention of allergic diseases, to the understanding of their pathophysiology and to the strengthening of allergology as a specialty in Europe. Lina Jankauskaité (Lithuania) won the EAACI Clinical Fellowship Award. She spent three months at the Charité Campus Virchow-Klinikum in Berlin, Germany, in autumn 2011. 1. Why did you apply for a fellowship? I wanted to gain additional knowledge about allergic diseases in the pediatric population, especially food allergies, immunology, and specially immunotherapy. 2. What did you like about your fellowship? 3. Which advantages did the fellowship bring you? In particular, comprehension about immunotherapy and food allergies in children and the possibility of being involved in interesting projects related to these topics. In my case, it was a great experience to work closely with Kirsten Beyer and Susanne Lau. 4. Would you do a fellowship again? 5. What do you recommend for someone who would like to do a fellowship? Do not hesitate and do not postpone such an opportunity to choose the right centre where you can acquire new knowledge. Also, if someone receives a fellowship I would recommend them to be friendly, open-minded, and to enjoy the new experience! Anca Mirela Chirac (Romania) won the EAACI Clinical Fellowship Award. She spent three months at the University Hospital of Montpellier, France, in summer 2011. It’s the simplest answer of all: I really just wanted to see how allergology is practised elsewhere. The fact that I was able to work a lot, in an enriching environment, both professionally and in human terms. I met doctors from all over the world, some in training, some senior allergists. It’s an experience that can hardly be put into words, but living it leaves no doubt: it’s a cornerstone in a junior’s journey to discover their potential. First of all, it confirmed to me, beyond any doubt, that I do want to be an allergist and that all my future efforts will go into being a valuable one. It is a beautiful specialty, nevertheless, in certain parts of Europe, it is not yet totally recognised as being one. And for a junior allergist, this might be frustrating and not too easy to accept. This is where the meeting with a mentor comes in and the Clinical Fellowship Award facilitates such an encounter. And please, let me take this opportunity to thank my mentor for everything that he has taught me. I definitely would! It’s an amazingly enriching period that can give such a boost to a junior allergist. It’s our chance to prove ourselves, to make contacts with our peers, and to progress. Be informed about the activities your host department is involved in. Read about their work, because that will allow you to benefit from this experience from the very beginning. As much as possible, be familiar with the language of your host country to enable direct, valuable contact with the patients, who in turn will teach you so much, beyond the theoretical aspects we all find in books. Roman Fishchuk (Ukraine) was awarded the EAACI Short Term Research Fellowship Award. During autumn 2011, he joined the Faculty of Medicine and Health Sciences in Ghent, Belgium. I applied for an EAACI short-term research fellowship in order to start co-operating with a foreign laboratory, to learn new research techniques, and to discuss the most recent advances in my field of scientific interest. The best thing I enjoyed during my fellowship was meeting and networking with new people, and exchanging ideas. I learned new lab techniques that are not available at my research institution and experienced out-of-the-box ways of thinking in the area of my scientific interest. Definitely YES! It’s a great opportunity to gain new skills, ideas, knowledge, and meet people who are on the same wavelength as yourself. Apply, apply, apply! If you don’t get it this year, apply next year! The most important thing is to have an idea and believe in it. The Academy presented the 2012 EAACI Awards during the Opening Ceremony of the EAACI Congress 2012 in Geneva. The Charles Blackley Award 2012 for improving the Promotion of the Specialty was awarded to Professor Roy Gerth van Wijk. Roy Gerth van Wijk, professor of Allergology and head of the Section of Allergology at the Erasmus Medical Center in Rotterdam, started to put his professional career into the service of promoting our specialty as Chairman of the Dutch Society of Allergology from 1996 until 2002. He took the initiative to organise a memorable EAACI Congress in Amsterdam in 2004, and decided to further serve the specialty by becoming a Member-at-Large of the EAACI Executive Committee. After 4 subsequent years of vice-presidency, he became President of EAACI from 2007 to 2009. Prof. Gerth van Wijk has served EAACI and the specialty in an excellent way, proving that good leaders can be modest and very efficient at the same time. The Clemens von Pirquet Award 2012 for improving Clinical Research was awarded to Dr. Glenis Scadding. Glenis Scadding is Honorary Consultant Allergy and Rhinology at the Royal National Throat, Nose and Ear Hospital, and Honorary Senior Lecturer at the University College London. She has been nominated for the prestigious Clemens von Pirquet Award in recognition of her major efforts in optimising diagnosis and treatment of upper airway inflammation in children and adults. Dr. Scadding has significantly contributed to the medical field of rhinitis, aspirin-exacerbated respiratory disease, rhinosinusitis, and global airway disease, and has inspired a new generation of researchers and clinicians. Her experimental and clinical research activities, as well as her excellent lectures, have been appreciated worldwide. The Daniel Bovet Award 2012 for improving Treatment and Prevention was awarded to Dr. Arne Host. Arne Host has delivered outstanding contributions to our understanding of allergic diseases, especially cow’s milk protein allergy, based on the Odense Danish birth cohort studies from 1985, 1998/1999 and the 1988 prevention study. These studies have improved our understanding of the development, the natural cause and prevention of cow’s milk protein allergy. Arne Host has also been active in establishing evidence-based recommendations on allergy testing in children; he is a past Chair of the EAACI Pediatric Section and is involved in education as the chair of European Training Committee on Paediatric Allergology. The Paul Ehrlich Award 2012 for improving Experimental Research was awarded to Prof. Werner J. Pichler. Werner J. Pichler has achieved many outstanding contributions to research, education and patient care in the field of allergy and also clinical immunology. He is currently Professor and Head of the Allergy and Clinical Department of the University of Berne. His longstanding and highly recognised research focus on drug hypersensitivity has led to major achievements such as the Pi-Concept and standardisation of lymphocytic proliferation essays. He was a dedicated promoter of our broad specialty in the Swiss Allergy Society and in EAACI Executive Committee, also by his standard textbook on “Clinical immunology”. Prof. Pichler also initiated the very successful EAACI/UEMS Knowledge Examination in Allergology and Clinical Immunology. The European Academy of Allergy and Clinical Immunology, EAACI, is celebrating the 100 years of Immunotherapy. One century ago, in 1911, Leonard Noon published in The Lancet the first original paper describing the use of allergen extract injections to treat hay fever. To celebrate this anniversary, EAACI has developed a number of initiatives, including the presentation of the Noon Award. With this award, EAACI would like to honour an outstanding researcher and clinician who has contributed remarkably in the immunotherapy field. The award was presented during the Opening Ceremony on Saturday 11 June 2011. EAACI is proud to announce the 2011 Noon Award Winner: Dr. Alfred William Frankland. Dr. Bill Frankland holds a special place in the history of allergy and immunotherapy, and is a direct link with the inventors of immunotherapy. In 1946, he joined St. Mary's Hospital London and later worked with John Freeman, the co-inventor with Noon of immunotherapy. He took over Freeman's pollen farm and founded the St. Mary's Allergy Clinic, treating thousands of patients every year. Together with Rosa Augustin, he undertook the first controlled clinical trial of immunotherapy. Dr. Frankland invented the concept of the pollen count and through countless media interviews he continues to explain allergy to the public. Jan Lotvall, EAACI President 2009-2011, presents the Noon Award 2011 to William Frankland at the Opening Ceremony of the EAACI Congress 2011 in Istanbul. The PhARF (Phadia Allergy Research Forum) Award Ceremony took place at the EAACI Congress in Istanbul June 13 in connection to the Phadia sponsored symposium. The symposium was chaired by Prof. Hugh Sampson and Prof. Walter Canonica who opened the golden envelope revealing the winner. Dr. Susumu Nakae, Ph.D., Assoc. Prof. at The Institute of Medical Science, University of Tokyo, Tokyo, Japan (nominated by Prof. Stephen Galli and Prof. Hirohisa Saito). The PhARF Scientific Committee, chaired by Prof. Canonica, considered the research of both Dr. Julia's and Dr. Nakae's to be in the forefront of international science and the quality and independence of their research is well ascertained. Dr. Julia has performed outstanding research focusing on the role of allergen exposure on the immune response in mouse models. Dr. Nakae has contributed to our understanding of the molecular mechanisms underlying allergic and other immunological disorders. Dr. Sarbjit Singh Saini, MD, Baltimore, Maryland, US and Dr. Claudia Traidl-Hoffmann, MD, Munich, Germany, for their excellent achievements. Two winners are sharing this year's PhaRF 2010 Award - The most prestigious Award in the field of Allergy! PhARF (Phadia Allergy Research Forum) is a collaboration between Uppsala University and Phadia AB. The objective of PhARF is to encourage progress in allergy research by recognizing outstanding younger investigators. Currently this personal and unrestricted award amounts to USD 50,000. The selection has been a two-step process. First a Nomination Committee with members from Uppsala University sifted out a limited number of candidates of all suggested nominations. Then the Scientific Committee of PhARF nominated two persons to this Award during the AAAAI (American Academy of Allergy, Asthma and Immunology) congress in New Orleans in the beginning of March. Dr Christopher Kepley, PhD, USA, who is currently working for Luna Innovations Inc., has dedicated his career to find new ways of ”turning off” the allergic response by inhibiting FcRI/mast cell/basophil responses. Click here to read Dr. Kepley's interview for winning PhARF 2010 Award! Dr Nikolaos Papadopoulos, MD, from University of Athens, Greece, who has produced high level scientific work in asthma and allergy with special focus on viral infections. Click here to read Dr. Papadopoulos' interview for winning PhARF 2010 Award! The Award Ceremony took place at the EAACI Congress in London Monday, June 7 at 17.30-19.00 in Platinum Suite 1+2 (Level 3), ExCel exhibition and convention centre announced by Magnus Lundberg. The winners are also invited to hold a speech at the Olof Rudbeck Day October 15 in Uppsala. This day is arranged yearly by Uppsala Physician Society and the Area of Medicine and Pharmacy at Uppsala University. The winner of the PhARF Award will be acknowledged together with the winner of the Olof Rudbeck prize* and the Small Fernstrom prize, respectively. * Olof Rudbeck, a Swedish scientist/genius active in Uppsala during the 17th century, was the one who detected the lymphatic system and its importance.